This article is about the card. For the subtype, see Gargoyle (subtype). 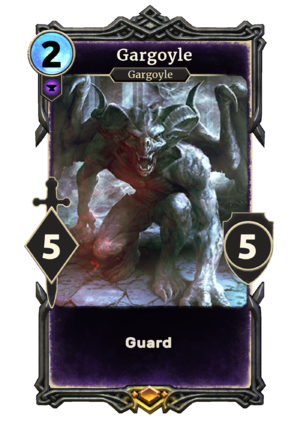 Gargoyle is a legendary Endurance creature card. Like other Blood Magic spells, this card is based on a vampiric power or item from Dawnguard; in this case, the Amulet of The Gargoyle.